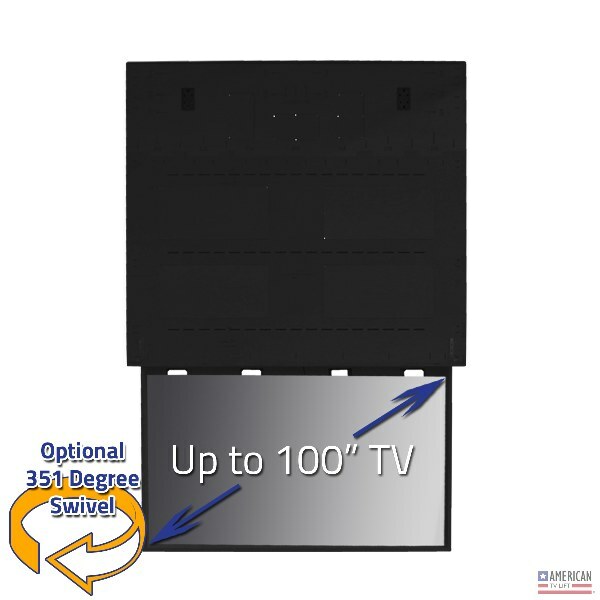 The American TV Lift Drop Down Mechanism offers you the opportunity to have the easiest to use, longest lasting, quickest and quietest TV Lift system available, the ATL System. 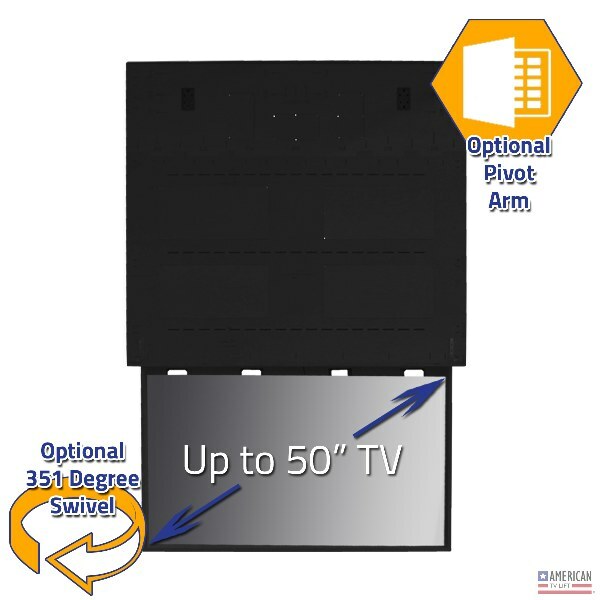 As you can see pictured, our ATL System TV Lift is built within a solid 3/4" chassis unlike other TV Lift providers so no assembly required and critical components and necessary wiring is protected. Essentially you have a plug and play system ready for you to mount in your ceiling for the ultimate TV conceal experience.